Last night the Stardust-NExT spacecraft successfully returned new images of the periodic comet 9P/Tempel, showing significant changes on the comet's surface as a result of its orbit around the Sun, and imaging a new territory on the comet for the first time. 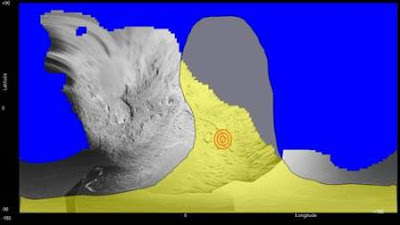 Moreover the impact location of 2005 "Deep Impact" projectile was imaged and it showed for the first time the resulting crater. 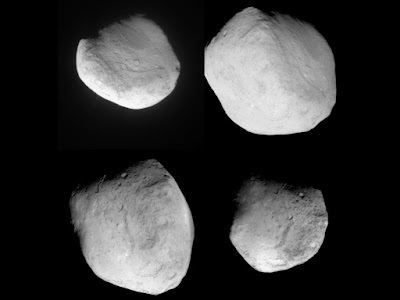 The mosaic image below shows four different views of comet Tempel 1 as seen by NASA's Stardust spacecraft (please click on each image to see a bigger version). 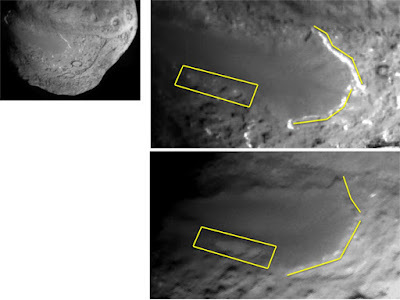 These two images below shows the different views of comet Tempel 1 seen by NASA's Deep Impact spacecraft in 2005 (left) and NASA's Stardust spacecraft in 2011 (right). This pair of images below shows the before-and-after comparison of the part of comet 9P/Tempel that was hit by the impactor from NASA's Deep Impact spacecraft. The crater closely matched predictions, measuring approximately 150 metres in diameter. According to Pete Shultz of Brown University: "The crater was more subdued than perhaps we first thought, but it was the size we expected, which is consistent with the ejecta pattern we observed, and what we'd expect in an oblique, 30 degree impact. A lot of material came back down and the crater partly buried, or healed, itself. The cometary nucleus must be fragile and weak based on how subdued the crater is we see today." 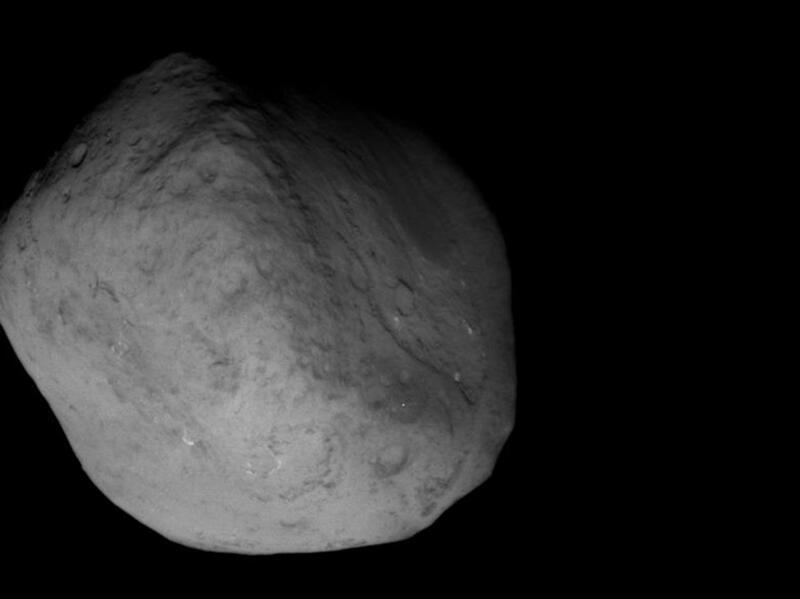 The engineering telemetry showed the spacecraft flew through waves of disintegrating cometary particles, including a dozen impacts that penetrated more than one layer of its protective shielding. According to Don Brownlee, Stardust-NExT co-investigator: "The data indicate Stardust went through something similar to a B-17 bomber flying through flak in World War II. Instead of having a little stream of uniform particles coming out, they apparently came out in chunks and crumbled." The Stardust-NExT spacecraft will continue to look at comet 9P/Tempel from afar to gain other useful information. In the next few hours, precisely on February 14 at 20:48 PST (February 15 at 04:48 UTC), the Stardust spacecraft will have a flyby with the comet 9P/Tempel (also known as comet Tempel 1). Stardust is a robotic space probe launched by NASA on February 7, 1999 to study the asteroid 5535 (Annefrank) and collect samples from the coma of comet Wild 2. After Stardust successfully completed his main mission, it was approved in 2007 an extension to redirect the probe to explore the comet 9P/Tempel. The mission was renamed "New Exploration of Tempel 1" or "NExT". 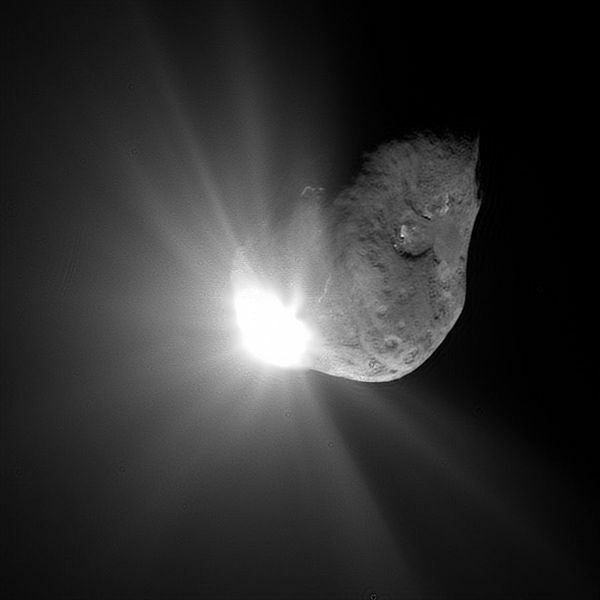 Comet 9P/Tempel was the target of the Deep Impact mission in 2005 as the comet was inbound toward the Sun on its approximately 5.5-year orbit between Mars and Jupiter, sending an impactor into the surface of the comet. The impact and the ejected material were observed from the spacecraft and many ground-based observers. During the flyby (at a projected distance of 200 km), Stardust-NExT will image some of the same surface areas that Deep Impact photographed 6 years ago, revealing how these areas have changed. 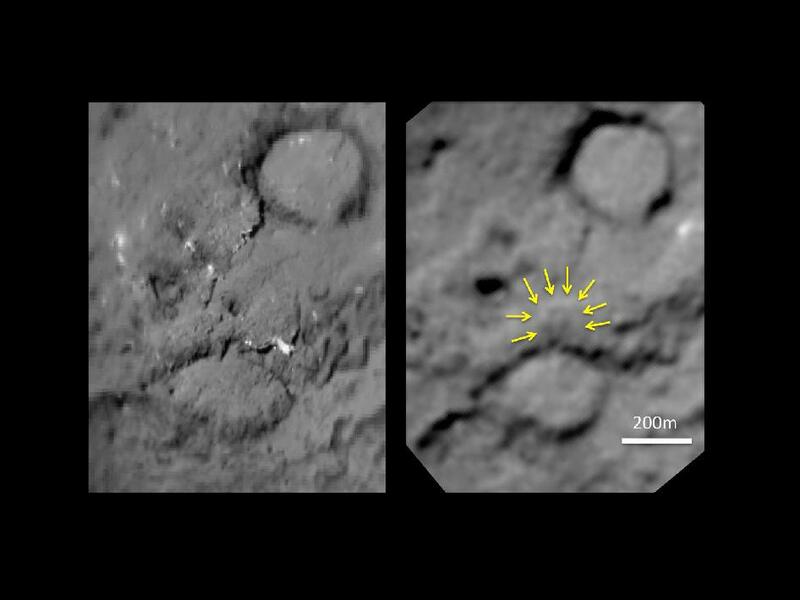 This is the first time we'll see a close-up view of the same comet before and after its closest approach to the sun. 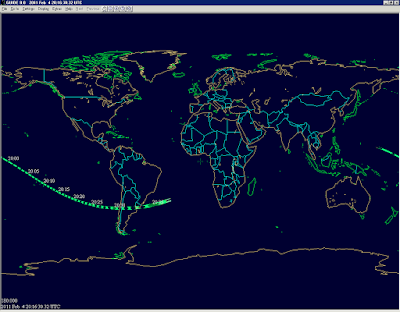 In particular the hope is to be able to image the impact location of Deep Impact projectile. 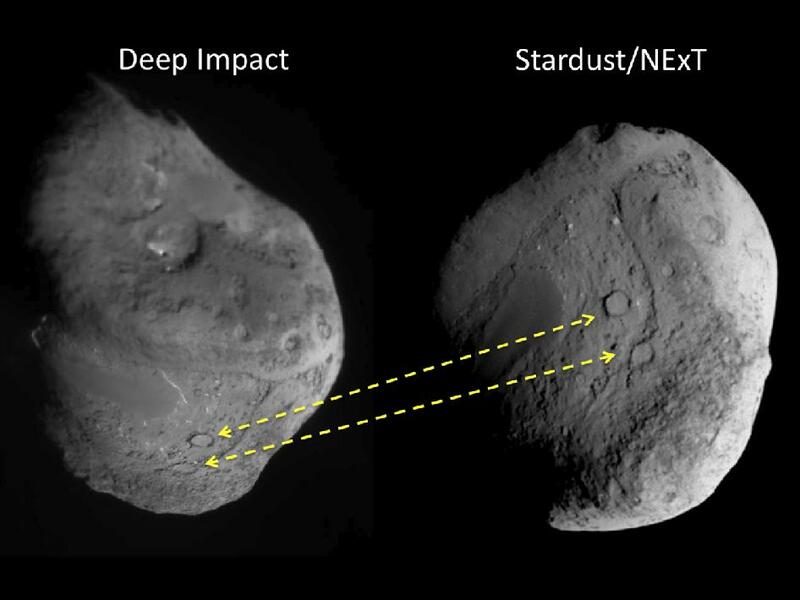 In fact Deep Impact's cameras were unable in 2005 to see through the enormous cloud of dust the impactor had stirred up. 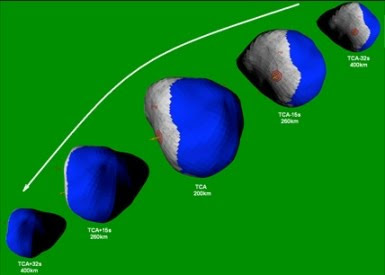 Below you can see the planned imaging of Comet Tempel 1 by Stardust-NExT during flyby. Blue area is comet unseen surface never imaged by Deep Impact during 2005 flyby. Bulls eye in yellow area is expected location of 2005 impact crater and expected new coverage. As soon as new images of comet 9P/Tempel will be available, we'll post it on the blog. Stay tuned!! 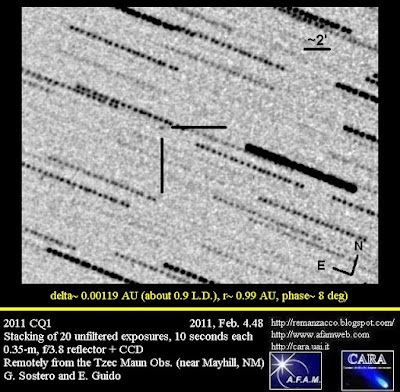 IAUC nr.9197, issued on 2011, Feb. 12, announced the discovery of a new comet (discovery magnitude 17) by R. H. McNaught through the 0.5-m Uppsala Schmidt telescope at Siding Spring, on images obtained on 2011, Feb. 10.7. The new comet has been designated C/2011 C1 (McNAUGHT). After posting on the Minor Planet Center's 'NEOCP' webpage, other CCD astrometrists have also commented on the object's cometary appearance. 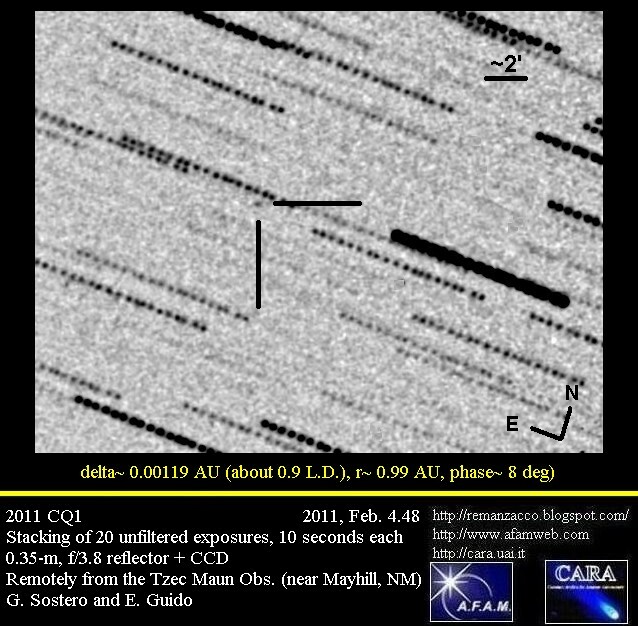 We performed some follow-up measurements of this object while it was still listed in the NEO-CP, on 2011 Feb. 11.5, remotely from the GRAS Observatory (near Mayhill, NM) through a 0.25-m, f/3.4 reflector + CCD. 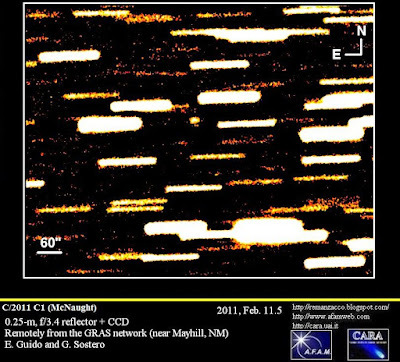 Our confirmation image shows a diffused coma nearly 20-arcsec in diameter, and a broad tail about 30-arcsec long toward PA 275. According to COCD webpage, this is the 58th comet discovery for McNaught!! 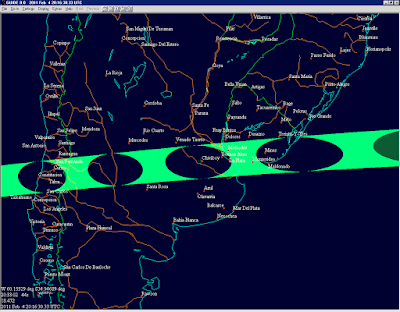 On mpml mailing list, Andrew Lowe pointed out that "that 2011 CQ1 will transit the sun shortly after its close approach. 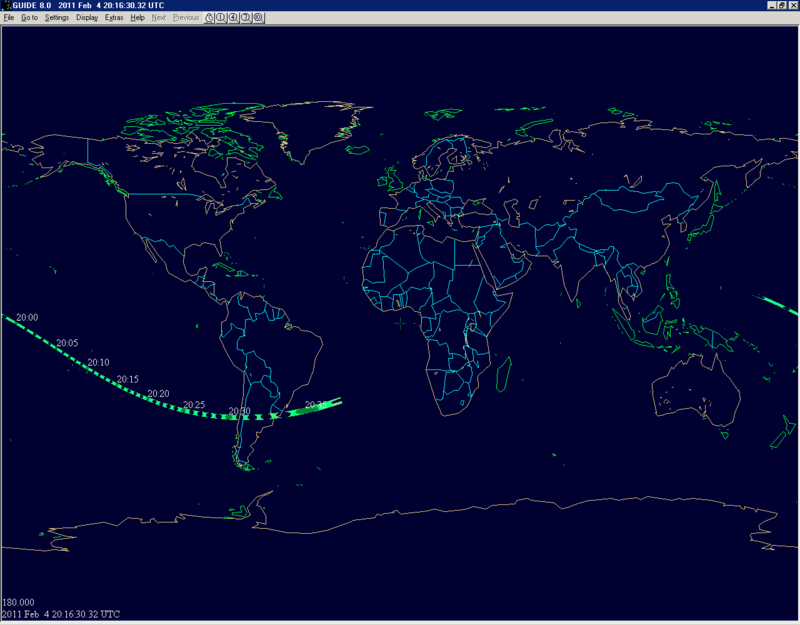 Based on astrometry up to MPEC 2011-C14, its "centre line" will start to cross the earth at Feb. 4.831 UT around N11 E160, with mid-transit at Feb 4.844 (S24 W125; south Pacific) and ending at Feb 04.858 (S29 W30)"
According to a press release by NASA/JPL, 2011 CQ1 is "the closest non-impacting object in our asteroid catalog to date. It passed to within 0.85 Earth radii (5480 km) of the Earth's surface over a region in the mid-Pacific"
In the past few days a number of faint objects discovered by Pan-STARRS (PS1 System - Haleakala - mpc code F51) have been added to the Neo Confirmation Page on the MPC website. PS1 is a 1.8-m Ritchey-Chretien + CCD that, according to PS1SC Blog, "comes equipped with the worlds largest digital camera which has 1.4 billion pixels (over 250 times the number of pixels in an iPhone’s camera). 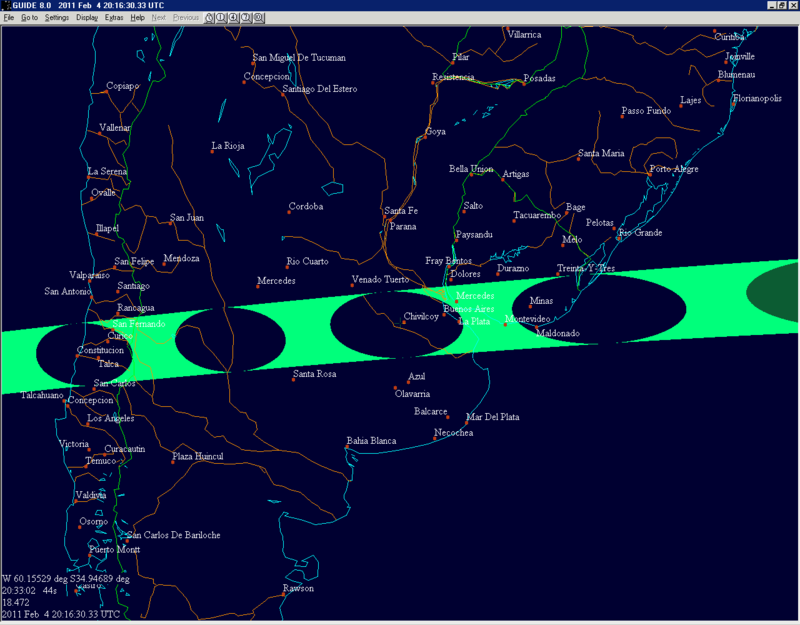 This along with the telescope’s design allows it to observe with a three degree field of view (six full moons across)". We have been able to follow a couple of these very faint objects using the 2.0-m Faulkes Telescope North (Haleakala - mpc code F65).